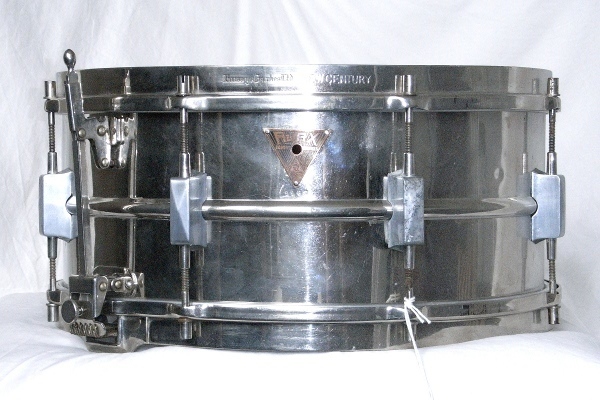 The snare drum underwent many changes between 1925-1935 before settling down into the kind we still recognise today. 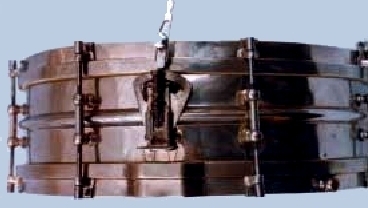 The changes can be seen in the offerings from one brand below. 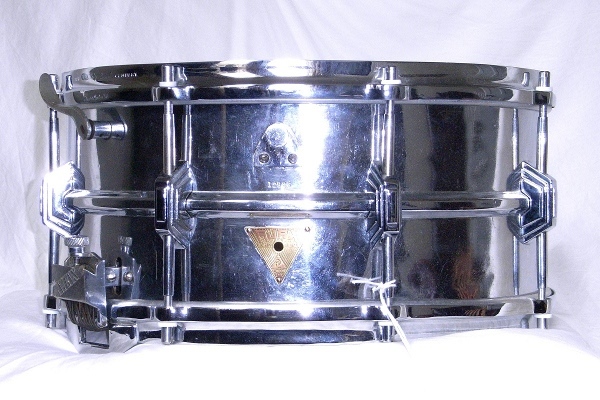 Outdated styles continued but were offered as budget models so for example a Veteran style snare with 6 lugs instead of 8 is probably 1950's rather than 1920's, especially if it has chrome plating. Tuning nuts were on the batter side as per military drums but jazz drummers fitted them upside down - with the nuts on the bottom, so their sticks didn't catch. 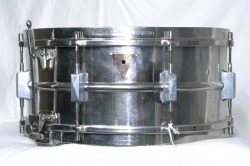 Just like today's custom offerings, small businesses bought in generic components to assemble into branded drums. 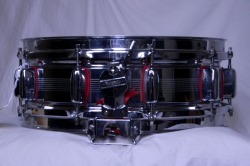 These transitional snares were only around for about five years as the industry evolved. Makers wanted to distinguish their brand in the market place so developed their own Deco style lugs offered in the shiny new chrome plate. In the pursuit of American style, traditional (higher quality) style was sacrificed. 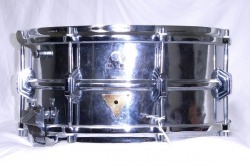 Solid ply shells, die-cast hoops and reinforcing rings were relegated to lower ranks. Amazing since these things are again considered top-dollar attributes today.